The Sikorsky S-62 (aka HH-52 Seaguard) was an amphibious helicopter created by the Sikorsky company of the United States of America. The S-62 is best-known for serving as an overwater search and rescue craft in the US Coast Guard. With its striking boat-hull design, combined with its three-blade main rotor, the Seaguard is instantly recognizable and was a welcome site to troubled sailors in the 1960s. Taking its first flight in 1959 and later introduced in 1961, the S-62 began life as a replacement for the earlier S-55 model, which was also known as the H-19. While the S-62 has a comparable size and weight to the S-55, the newer helicopter improved on the payload and speed capability of its predecessor. The most important feature of the helicopter is of course that it can take off and land from the water’s surface. Something which is still quite a feat today. The better performance numbers of the S-62 are largely the result of the single 1 250 horsepower GE T58-GE-8B turboshaft engine. The landing abilities of the Seaguard were (and still are) truly remarkable. The craft was fully amphibious, with the landing wheels retracting into the sponsons. It could therefore safely land on either water or snow. The fact that rescues could be done from the water as well as the air made for a much more flexible craft and certainly saved many lives. 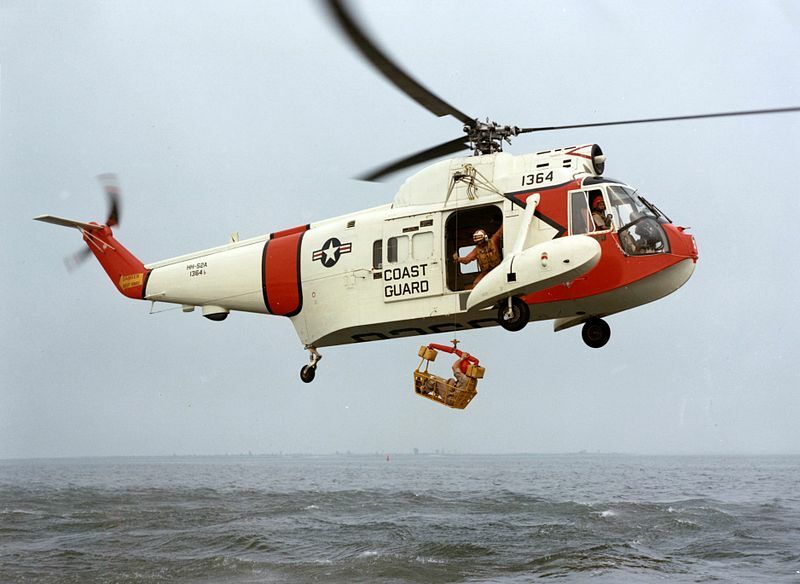 Since first delivery in 1963 the Seaguard nearly served an incredible quarter century in the Coast Guard. In total 151 helicopters were produced across all variants. The final year of service was 1989, after which the newer HH-65 Dolphin would replace it. The Coast Guard owned 99 of the total production run. Of these 10 were lost to accidents, which is surprisingly low give that these helicopters deliberately worked in very hazardous conditions. All have been retired today, but some have been preserved and two are still flying on the civil register. In total the Seaguard is directly responsible for saving more than 600 lives while collectively logging more than 13 737 flight hours over 800 rescue missions. Do you want to comment the Sikorsky S-62 A / HH-52A Seaguard helicopter?